Figure F1. 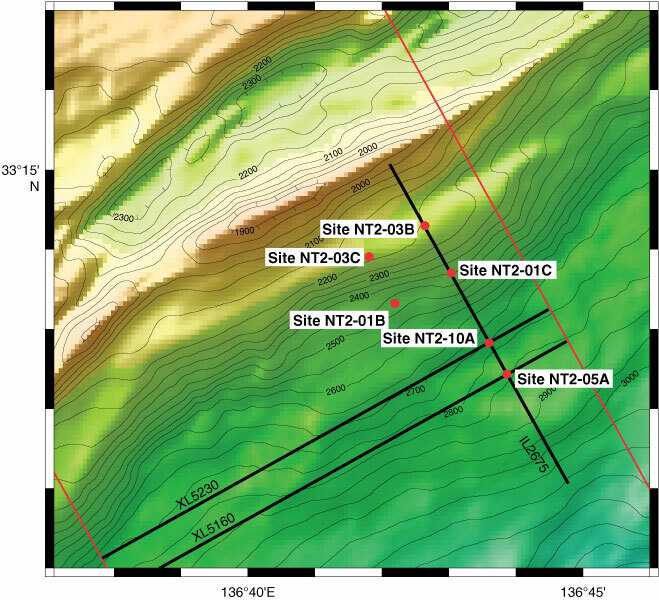 Seafloor bathymetry (50 m contour interval) showing locations of proposed contingency Sites NT2-05A and NT2-10A and the black seismic lines displayed in Figures F2 and F3. Red circles = proposed holes, red lines = three-dimensional survey boundaries.